By Grace Carter on 05/08/2018 in "Blog Blogs"
Video content is all the rage and has been for the last few years. Internet users are far happier to sit back, plug in their headphones, and watch something than they are to read it from their screens, so it only makes sense that it’s one of the most popular forms of marketing media. However, videos can also be expensive to produce and create, and if you’re not getting traffic to your videos, it means you’ll be ultimately losing money. Today, we’re going to explore eight essential ways you can boost the traffic going to your videos. Relating directly to the production side of your videos, it’s important to remember that although users prefer sitting and watching videos, they don’t want to have to sit there too long unless you’re making Hollywood blockbusters. 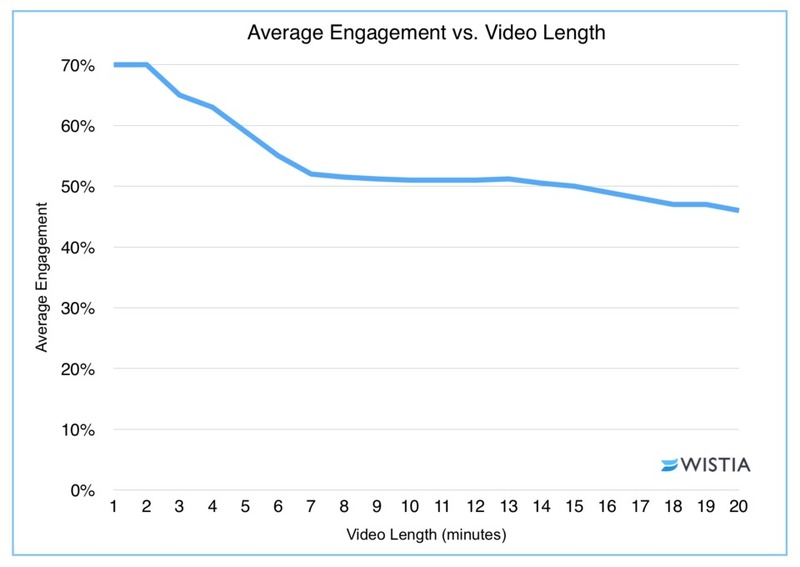 With this in mind, it’s important to remember that you’ll get the highest amount of traffic for videos that fall between the 1-minute and 6-minute marks, although even the difference between these two milestones is staggering. Vines are the best way to understand this concept. These little 7-second videos hit the limelight back in 2013 and are popular to this day. Some of the best videos have received hundreds of millions of views and are a great way to captivate your audience with short yet compelling content. When it comes to a video being successful, search engines look for a number of things. If you’re able to tick these boxes, the algorithms of YouTube, Facebook, and Google will boost your reach. Engagement-related elements you’ll need to consider are Likes, Shares, and Comments. This means you need to get as many people as possible to take these actions. You can easily do this by adding a call to action at the end of your video or in your video description. You could ask viewers a question where they’ll need to write down their answer or make your video interesting enough that they’ll want to do it on their own. Back in 2013, GoPro released a short video documentary about lions in Africa; it follows the footsteps of one guy who has an out-of-this-world connection with these creatures. After captivating the audience, the video then shows calls to action to explore both lion conservation programs and the GoPro website. The video currently sits on more than 37 million views with over 15,000 comments. The title you give your video is also one of the most important elements you’ll need to think about. You need to make sure that you’re using a phrase that people are going to search for; it also needs to read well enough to make people want to click. “Think about the subject lines of your emails and how important they are for getting people to open your emails. The same concept applies here,” says Sian Ryder, a content writer for Ox Essays. When you’re uploading your video, you’ll be able to add a title, a description, and video tags. Before you start writing these elements of your video, do your research to make sure that you include any kind of trending yet relevant information that will help people to find your video. Using online communities is one of the best ways to source views. However, many of these communities, such as LinkedIn and Quora, pride themselves of having a ‘clean’ community that is free from spam, so make sure that you’re only promoting on these communities if the content is relevant or helpful! We’ve already spoken about the description of your video as an important factor, but have you considered the best way to do this? Ideally, you’ll want to write an informative description that will really get your readers excited about watching your video. Via Writing & Grammar Checker – Two online grammar tools to help ensure the grammar of your content is perfect. UKWritings & Best British Essays – Two professional proofreading services to help ensure your content is free from errors. Cite It In – A free online tool to help you add citations and references to your written content. Academized & Assignment Help – Recommended by the Huffington Post, these are two writing consultation services that can help you improve your writing skills. Let’s Go and Learn & My Writing Way – Two online blogs full of writing guides to help you improve your overall writing skill. Simple Grad & Writing Populist – Two blogs full of resources to help you understand the fundamental basics of professional writing. The last thing you’ll want to consider is the fact that video playlists are very accessible and easy to use and they’re a great way to increase your views. By creating playlists with keyword-heavy titles, you can make sure your playlists are easily found and contain lots of videos that users are going to find interesting. Of course, music playlists are some of the most popular, but there are a lot of companies and individuals who are using playlists to their advantage. One of the best examples is Team Fearless, a motivational video channel that aims to inspire people to live their dreams. By grouping all their individual videos into playlists, people can continuously watch through their best content, which in turn till inspire them to watch more. If you’re still on the fence about investing in video, it’s long past time to get off the fence and get going. There are tons of options for marketers to achieve anything from brand awareness to direct response, and platforms are releasing new features by the week that make it even easier. Good luck! Grace Carter manages business correspondence at Boom Essays and helps with content proofreading at websites like Reviewal, an online service that reviews popular writing websites.